A route from Glenfinnan to Cape Wrath via Barrisdale, Kinloch Hourn, Morvich, Glomach Falls, Strathcarron, Kinlochewe, Inverlael, Oykel Bridge, and Kinlochbervie. Tracks and paths are used where possible but at least thirty miles of the two hundred mile plus distance is over trackless terrain. A walk only for tough people able to carry several days’ food. The bothies visited and illustrated (from south to north): Corryhully, A’Chuill, Sourlies, Barrisdale, Sourdalan, Eason Dorcha, Shenavall, Knockdamph, Duag Bridge Schoolhouse, Glencoul, Glendhu, Strathan, Strathchailleach, Kearvaig. Corryhully and Barrisdale are maintained by their respective estates. A small charge is made to use the latter. 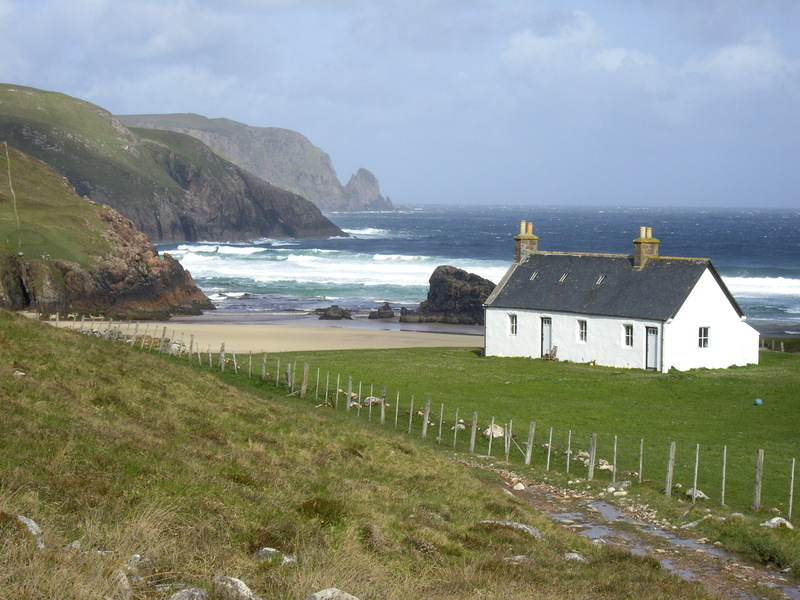 The others are maintained as free open bothies by the Mountain Bothies Association, of which Mike Salter is a member. A fifty four mile route from Shrewsbury Abbey to the centre of Ludlow. Mostly on paths and tracks. Route goes over Haughmond Hill to visit Haughmond Abbey, then past Wroxeter Roman City onto the Severn Way to Buildwas Abbey, over the Iron Bridge, up to Wenlock Priory, then along Wenlock Edge to Craven Arms, past Stokesay Castle, Stanton Lacy Saxon Church, and Bromfield Priory, then along the bottom of the Whitcliff for a final climb beside Ludlow Castle into the town centre. A mostly off-road sixty seven mile circular route connecting the abbey ruins at Melrose, Dryburgh, Kelso and Jedburgh, and also visiting the towns of Hawick and Selkirk and passing the ruins of the former royal castle of Roxburgh, plus other minor castle remains. A sixty four mile route from Loughor estuary to start of Pembrokeshire Coast Path at Amroth. Mostly on cycle-tracks and quiet lanes but also using 14 miles worth of old tracks and paths. The route passes fine castle ruins at Kidwelly, Carmarthen, Llansteffan and Laugharne, several old churches, three estuaries and has a cliff-top finish. A mostly off-road seventy mile route from Cardigan to Machynlleth via Aberporth, Newquay, and Aberystwyth. Route includes two 13th century castles, two prehistoric forts, six medieval churches, several old lime-kilns, a nature reserve and a fine set of delightful old harbours. A ninety two mile route from Culross to Dundee passing under the Forth Bridges and over the Tay Road Bridge, also visiting Inverkeithing, Aberdour, Burntisland, Kinghorne, Kirkcaldy, Leven, Largo, Elie, St. Monans, Pittenweem, Anstruther, Crail, St. Andrews, Leuchars and Tayport. Old buildings by the route include a cathedral priory, four other ruined monasteries, 20 old parish churches, 10 castles, old limekilns, many old harbours and a nature reserve. Fairly easy walking, nearly half of it on tarmac. A few steep climbs on Fife Ness to St. Andrews section. A one hundred and thirty two mile horse-shoe shaped national trail with Offa¹s Dyke path links at Knighton and Welshpool. Tough high-level route via Abbey Cwm Hir, Llanidloes, Machynlleth (connection with coast paths), Llanbrunmair, Lake Vyrnwy and Meifod. Mostly off-road one hundred and twenty mile route includes Beaumaris Castle, remains of a Welsh prince’s house, Caer Gybi Roman Fort, Penmon Priory, sixteen medieval parish churches (3 on islands), three holy wells, a fine neolithic burial chamber, a nature reserve and two fine bridges. The route described is off-road as far as possible, i.e. about eight hundred miles of the total is on paths. Basic information on landmarks on the route which includes over 50 churches, 20 castles and forts, 2 abbeys, several prehistoric structures, a Cornish tin mine, several preserved steam railways, a few follies, canal features, spectacular bridges and a sculpture trail in the Forest of Dean. Choice of two routes given in Scotland and some discussion of pros and cons of various other alternative routes through England. A ninety one mile route from Caernarfon to Porthmadoc via Clynnog Fawr, Nefyn, Aberdaron, Abersoch, Llanbedrog, Pwllheli and Criccieth. The Southern Upland Way is a two hundred and twelve mile trail from Portpatriick to Cockburnspath via Melrose. A tough challenge walk with long sections between supply and accommodation places. Route takes in ten castles or castellated houses, two abbeys, several old churches, bothies and places associated with Covenant martyrs and James Hogg and Sir Walter Scott. St Cuthbert’s Way is sixty four miles from Melrose Abbey via Dryburgh Abbey to Lindisfarne Priory on Holy Island via Dere Street Roman Road, Cessford Castle, Kirk Yetholm and Wooler. The book also includes a thirty mile route connecting six bastle houses in South Lanarkshire, and the seventeen mile John Muir Way from Cockburnspath to Dunbar and East Linton.